Rates valid for May 31-June 3, 2018. Cut-off date for booking rooms at these rates: May 16, 2018. Two-night minimum stay required for bookings on Sat., June 2 (Fri. or Sun. required). Residence Inn Raleigh Downtown is located in the heart of downtown Raleigh's Fayetteville Street district. This 175-room, all-suite hotel includes all essential services for your hotel stay, long or short. Traveling for business? 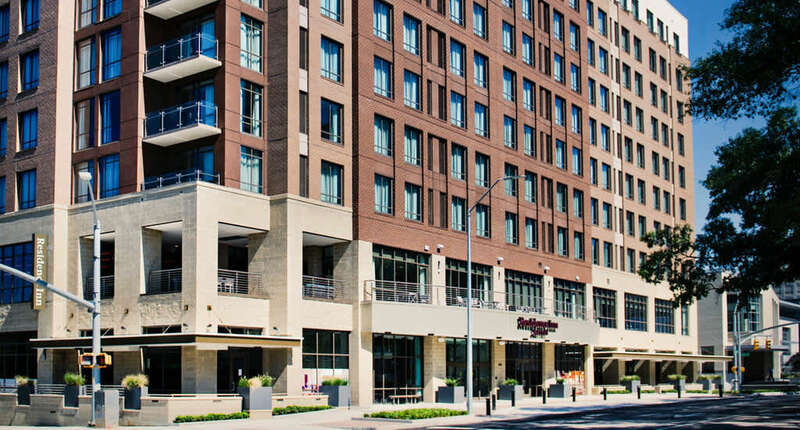 This property is steps away from the Raleigh Convention Center and the downtown business district; Duke Energy Center for the Performing Arts, Red Hat Amphitheater and a variety of live music venues are within blocks of the hotel; Raleigh's burgeoning culinary and craft brewery scene is at your doorstep. The suites include fully-equipped kitchens with cookware and utensils, glassware and appliances, so you don't have to miss a beat while away from home! 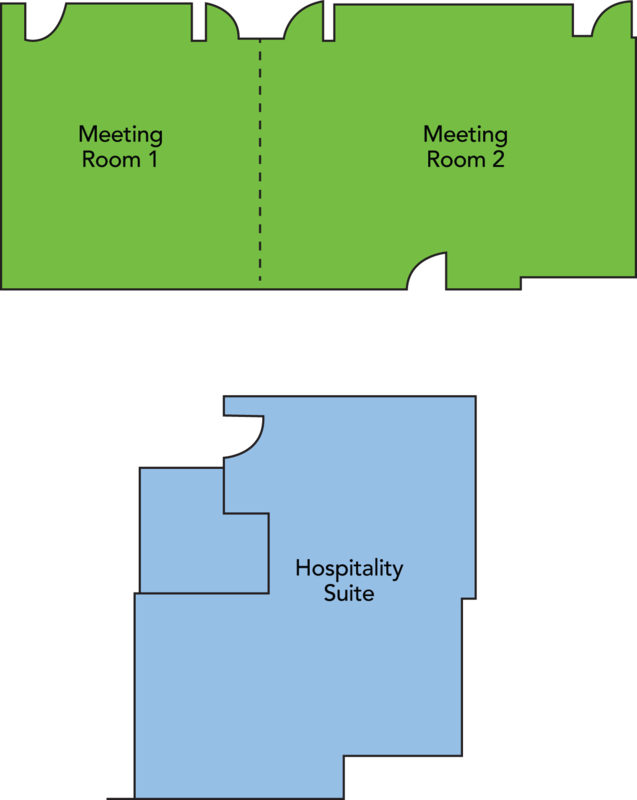 Suite types range from studio king, one bedroom queen-queen, one bedroom corner king with balcony or connecting rooms to create a two-bedroom option. Start your day at the oversized, state-of-the-art fitness facility with prominent views of S. Salisbury St. and complimentary, full breakfast; stay productive at the hotel business center or at the work desk at your suite, with complimentary Wi-Fi; unwind after your day on the 10th-floor rooftop bar and lounge, dine at the second floor Overlook Bistro or the two, on-site, street-level restaurants. 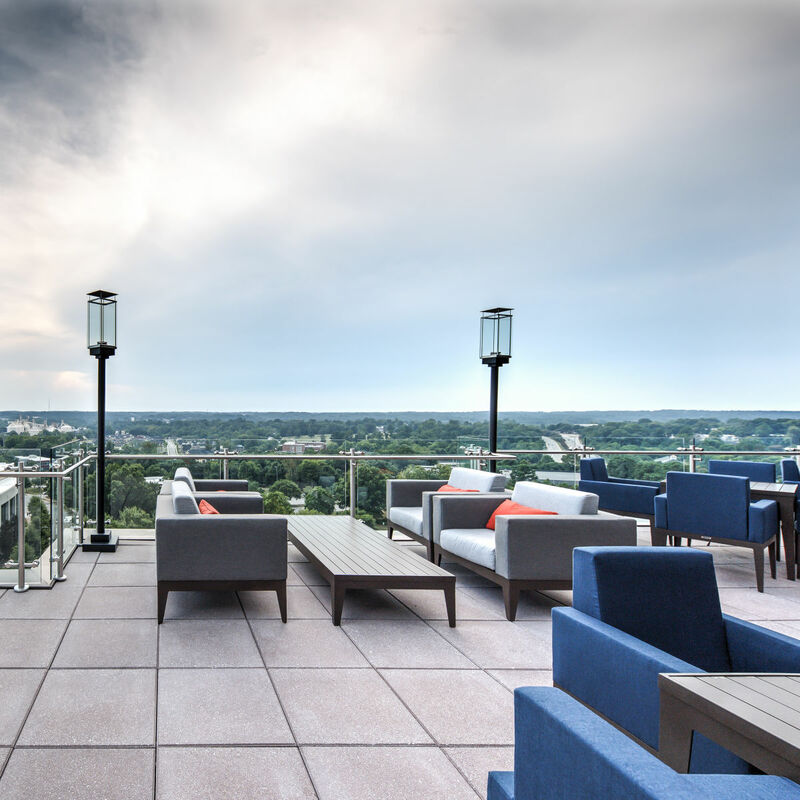 The Residence Inn Raleigh Downtown also features meeting and flexible event space, accommodating meetings for up to 100 or unforgettable receptions on the 10th floor.